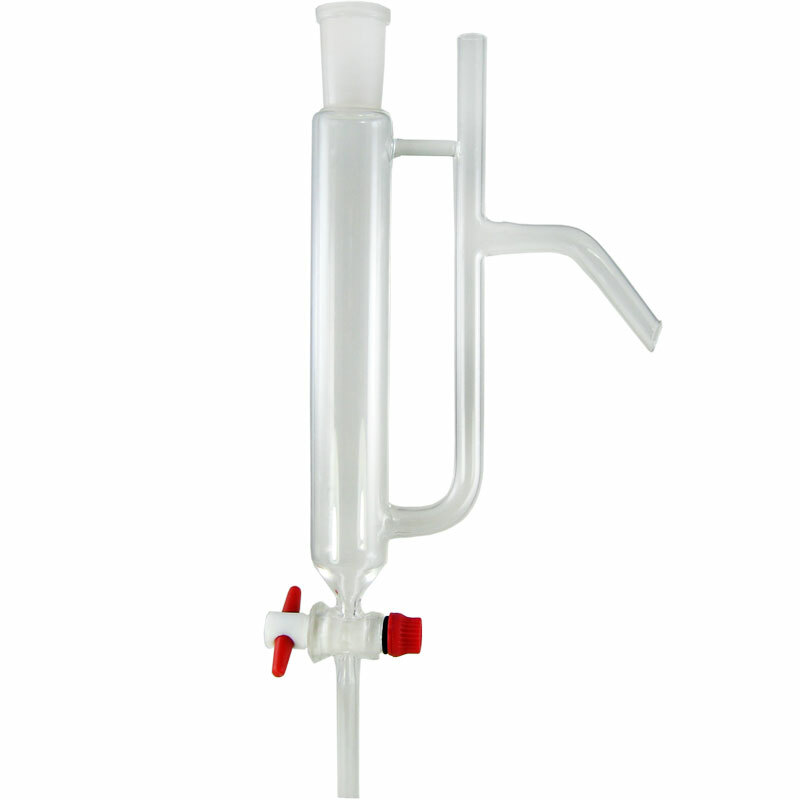 This borosilicate glass essential oil and water separatory column features a teflon valve and 24/40 ground glass connection. It is used to automatically and efficiently capture the essential oils from the "hydrosol" generated during the distillation process. Total length is 13". 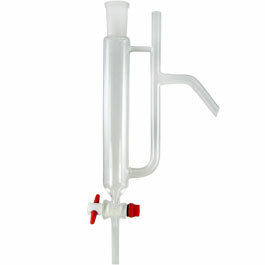 Attach to the bottom of any 24/40 Condenser and prime with water 2" above the valve. 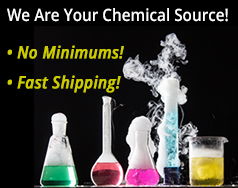 This creates a self-contained system that captures essential oils while also venting steam pressure automatically. 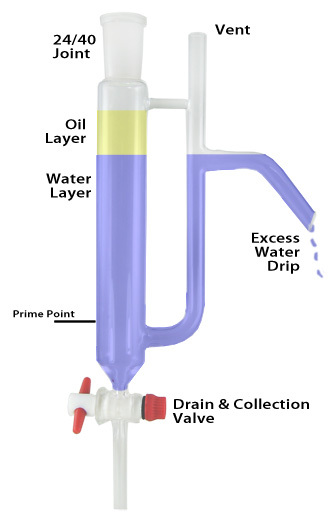 The essential oil either floats on top or for heavier oils, sinks to the bottom of the column. Excess water from the center of the vessel drips away off the side. 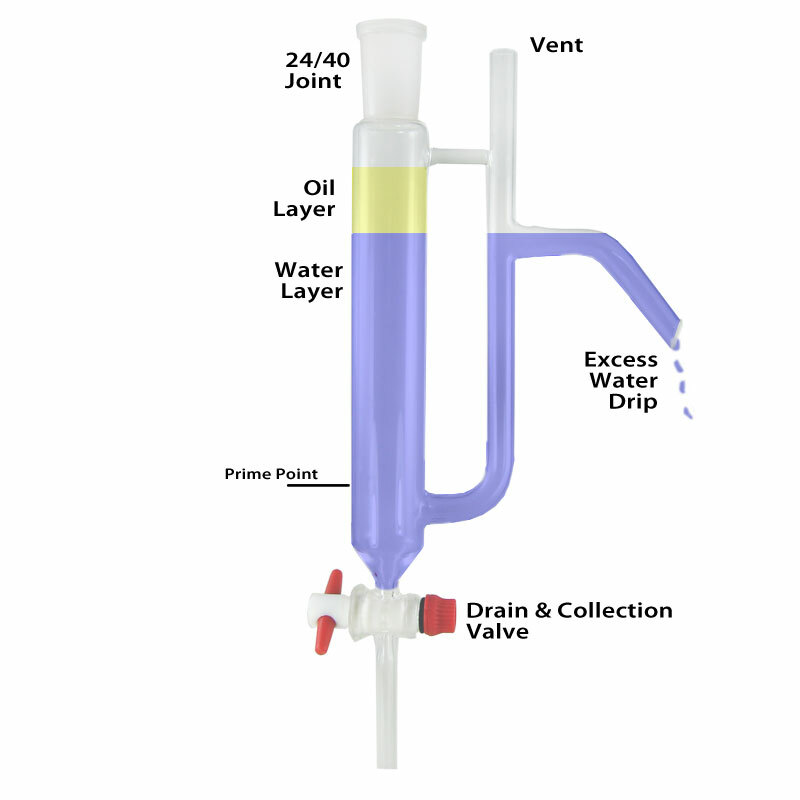 When the distillation is complete, the teflon valve is opened and the water and oil is drained and separated into appropriate bottles.